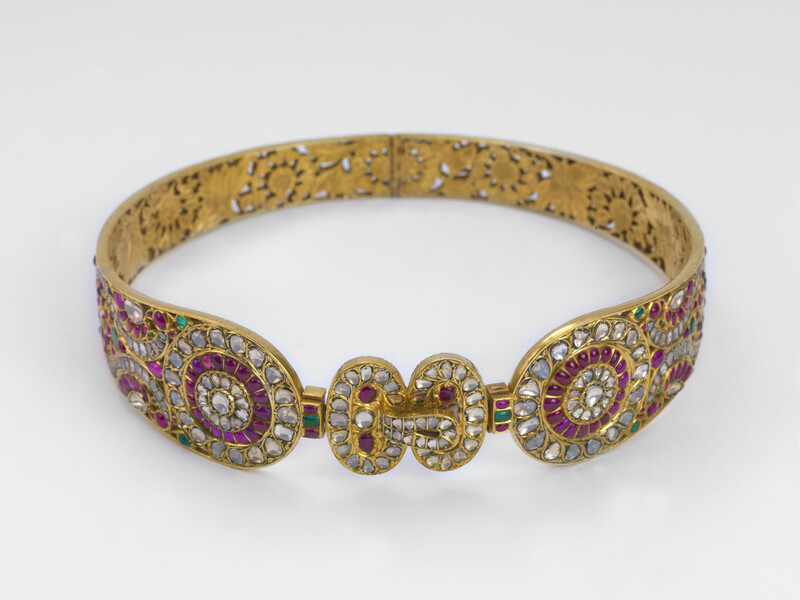 A hinged waist belt made of a gold framework inlaid with diamonds, rubies and emeralds. The inner rim of the belt is engraved with patterns of lotuses and peacocks. The front of the belt imitates a buckle, where a small hook that actually holds the two halves of the belt together is concealed. Belts of this type would be worn by women in India, in particular South India.